Join Henry Leck and a choir made up of young male singers from the Indianapolis Children's Choir and the Indianapolis Youth Chorale. They explore the historical, physical, emotional, and individual musical perspective of the boy's changing voice as well as how the process affects the choral ensemble as a whole. 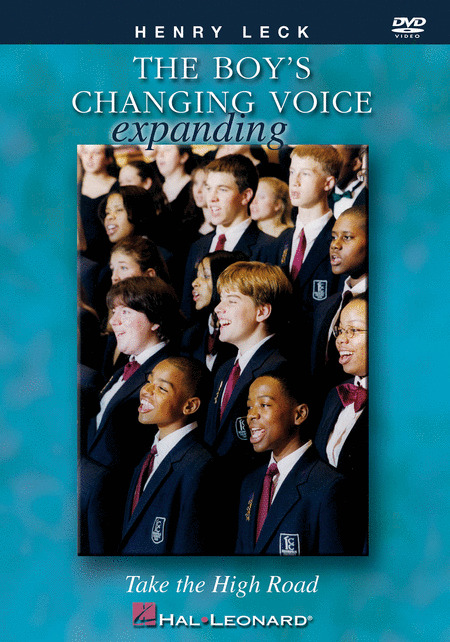 This video offers choir directors, studio voice teachers and young singers the opportunity to examine the process of vocal maturation and how that process might be approached within the choral ensemble. Includes warmups and vocal exercises, ranges and guidelines for vocal classification, technical data, interviews with several young singers, and several excerpts of solo and choral repertoire in performance.